I love a quick and easy soup that doesn’t take hours to prep. Plus ramen reminds me of college and how often I had ramen dinners. Back then I wasn’t adding in veggies or chicken I was going for the pure real deal because that is what I could afford. Now that I am no longer on a college kid budget I love taking ramen and stepping it up a bit. 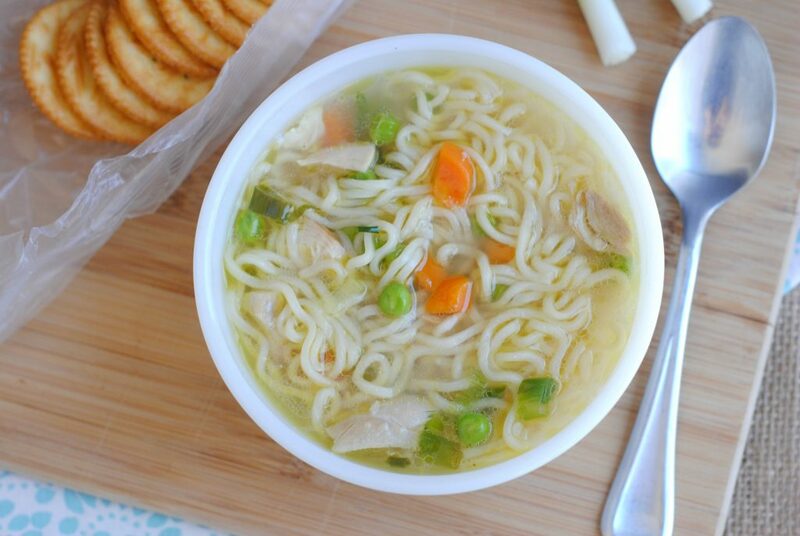 This Ramen Chicken Noodle Soup Recipe is crazy easy to make and tastes so good! It is a little reminder of how far we have come since our college days of scraping together enough to get ramen for dinner. Now we can willingly eat ramen and just smile as we do it. Doesn’t that look so much better than what you remember it looking! I am so excited to share this easy soup recipe with you guys! This is one of those meals I make when I want a semi-homecooked meal but don’t want to stress about spending a ton of time in the kitchen. Plus it only takes a few minutes to make so I can stretch out in the recliner and catch up on a good show. 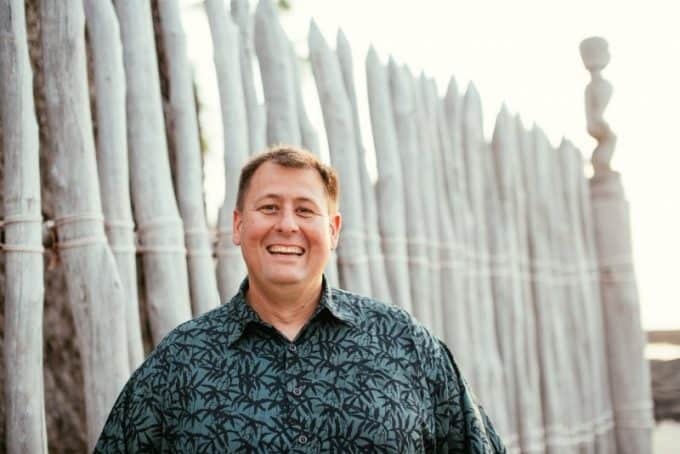 My wife Tammilee loves it because she knows I am getting some veggies in my diet and eating something not fast food while she is traveling. She travels pretty frequently for her blog Tammilee Tips so this is one of my go-to recipes for the nights I am home by myself. Or I fire up the barbecue and start grilling. I have been enjoying an IPA Moscow Mule and this gorgeous weather we are having. I saw back to school ads the other day and people talking about school shopping and I must admit I am not ready for summer to be ending or the weather to turn cold. Can we just press pause for a bit and soak up all the good weather. 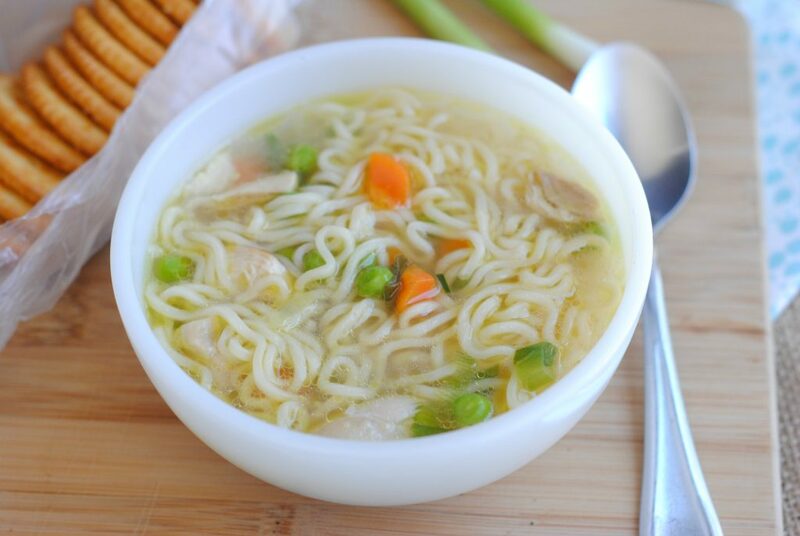 OK, enough lamenting about the weather it is time to share how to make Ramen Chicken Noodle Soup! In a large dutch oven or soup pot, heat the olive oil, minced green, peas & carrots and green onion. Saute until tender about 8-10 minutes. Add in the 4 cups of chicken broth and ramen noodles and let simmer until the noodles are tender. Once the noodles are tender, add in the chicken and heat through. 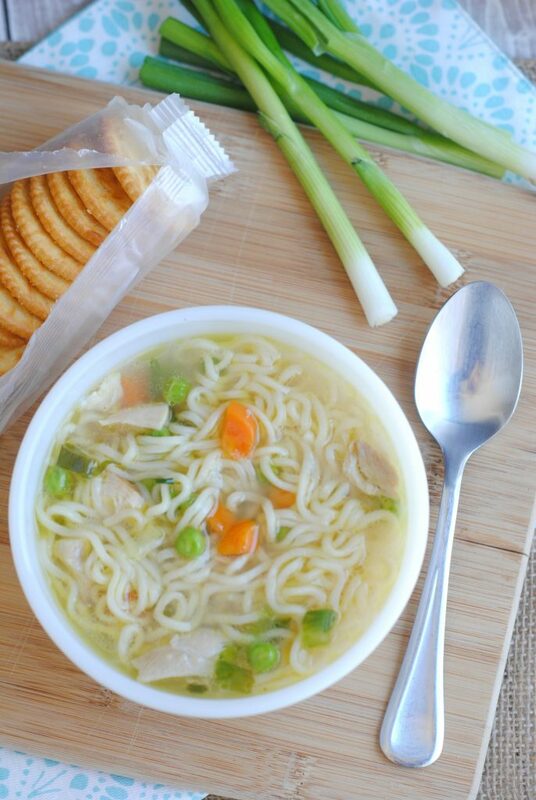 Easy Ramen Chicken Noodle Soup Recipe filled with chicken and veggies. 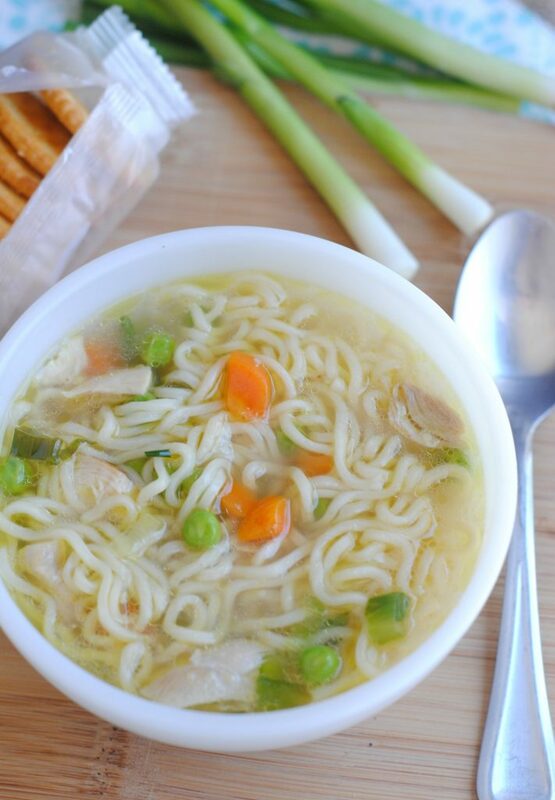 I love chicken noodle soup so I will definitely be trying this recipe. The soup sounds delicious. 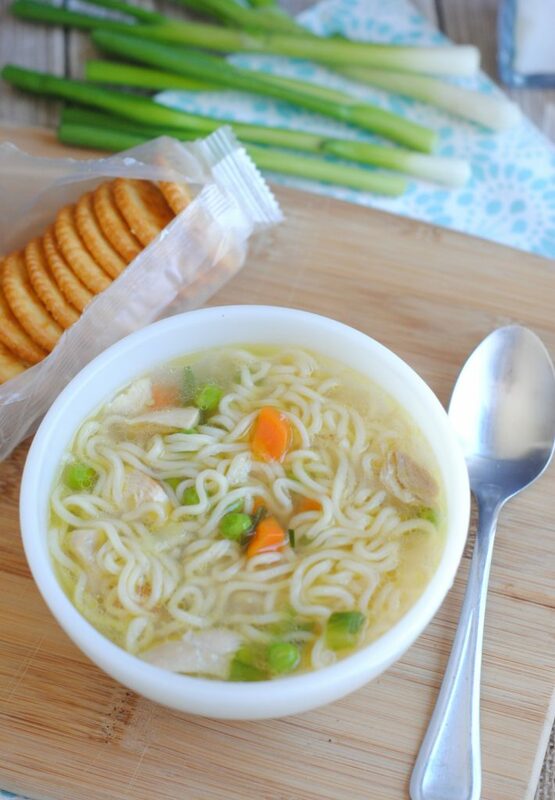 I would definitely would love to try the Ramen Chicken Noodle Soup Recipe . I think it is a great plate, of which it’s on my menu later in the week. I added a little celery and a few dashes of sesame oil. You will get the Asian taste.